Theresa May has arrived in Belgium to mark the 100th anniversary of the end of World War One and later travelled for further ceremonies in France. A vehicle has slipped into the convoy carrying British Prime Minister Theresa May and her Belgian counterpart Charles Michel, knocking over two police motorcyclists who were escorting the convoy. According to Belgian daily La Libre, the incident happened on a Belgian motorway as May and Michel were on their way back from a commemoration event at a war cemetery. The Belgian PM immediately asked to stop the convoy. He reportedly kneeled down to hear from the two officers that were knocked to the ground. The two federal police officers are said to have been slightly injured and rushed to hospital. Michel's spokesperson described it as an "unfortunate accident." 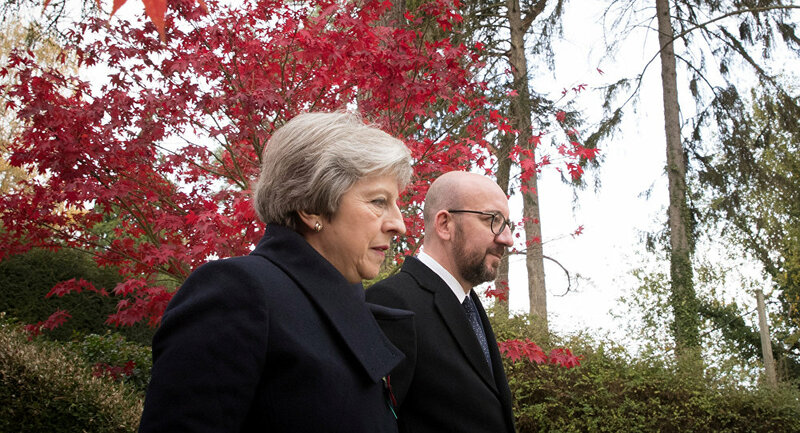 May and Michel visited the St Symphorien Cemetery in the Belgian city of Mons where they paid tribute to fallen WW1 soldiers, prior to the centenery of the 1918 Armistice which is due on Sunday. Theresa May is scheduled to attend a private meeting and a working lunch with French President Macron laster in the day. 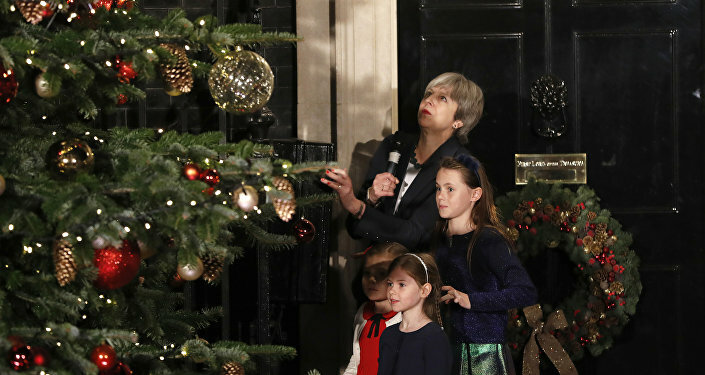 What is It With Theresa May?